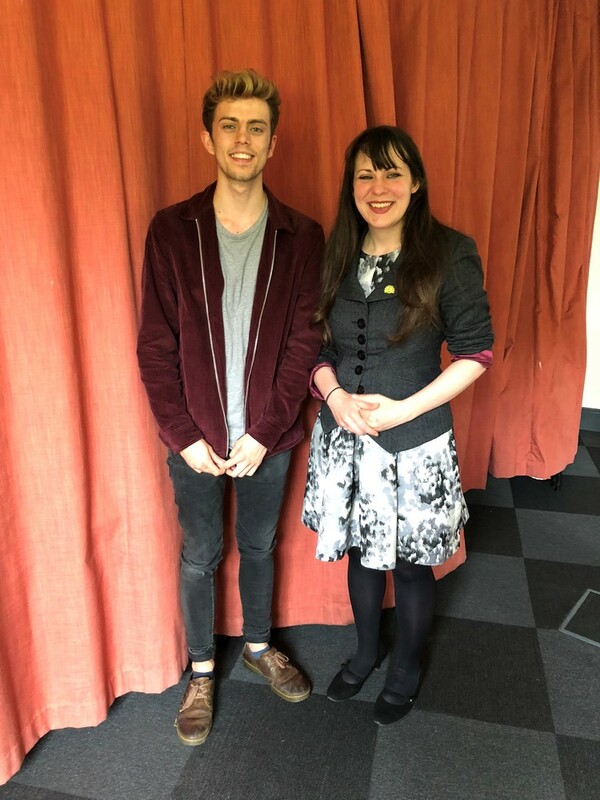 The deputy leader of the Green Party, Amelia Womack, visited Lancaster University Campus to chat with students. SCAN caught up with her to discuss student politics, the need for environmental action, and rising tuition fees. How can students adopt a green lifestyle? There are a number of different things, but the reason why I am in the Green Party is because I don’t just think it is about lifestyle choices. We need to have policy and political change, so the green lifestyle becomes the easiest choice. The green lifestyle can in fact be the cheapest option, ensuring that you always have a refillable bottle of water, and things like the Refill app that highlights where you can get free water refills from, this greatly helps reduce your individual environmental impact. 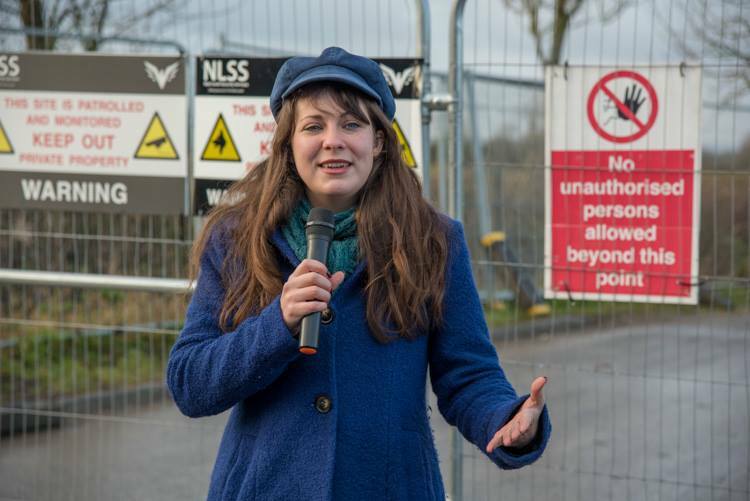 Have you been to the Cuadrilla fracking site near to Lancaster, and what was your experience there like? “I’ve been there a few times and what I find interesting is how actually as tax payers we are subsiding that site with the strong police presence there, as a result of the activists’ campaigns. Seeing so many inspiring people who understand that this is curing the environment for future generations. What can be done about the rising tuition fees? “This is such an important question, and on top of this, there has been a lack of support on bursaries which enable the poorest to be able to sustain themselves whilst at university. Political parties can change this, and voting for a party that stands up for this is a strong way of helping, but never forgetting that things like lobbying, petitioning, demonstrating and campaigning can cause change, so students should get involved in anti-tuition fee campaigns. Now that Labour has moved to the left, what does the Green Party still have that is unique? “The fact that a political party can completely change with its leadership is something that doesn’t reflect Green values, our party remains consistent. We have the conviction on our environmental policies and social justice, which give us a clear ambition on how to tackle the issues of climate change, its about tying the two together. Like our work by councillors in Kirklees, where members of the community experience fuel poverty, the community had to choose between heating their homes or putting food on the table; so the councillors put in solar panels to tackle the two issues at the same time. As well as the tying of environmental and social justice, we are very clear on our position on nuclear weapons, our position on HS2, our position on fracking, there are so many individual green issues where we go above and beyond what is being said by the Labour Party. Who are you politically most inspired by, past or present? “That’s a tough one because there’s been so many incredible campaigners. People like Rosa Parks, I feel like lots of people forget, by her sitting on the wrong seat of the bus, that was an organised act of campaigning and breaking the rules in that way to make such a strong political statement showed the simplicity of the act and how it completely changed the rights of black people in America. And finally, as a previous member of the Young Greens yourself, how do you think students can get into politics?